What magazine? I don’t see any magazine! 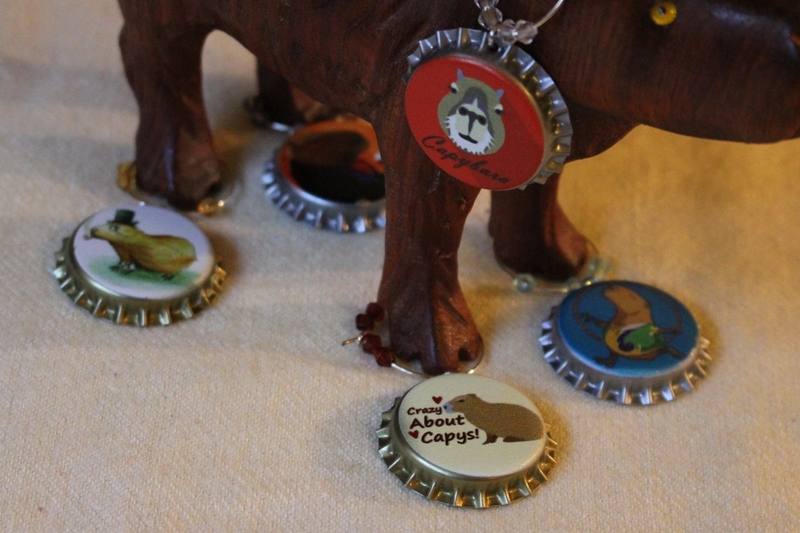 I’ve been talking about writing a capybara themed book. After a couple years of that, it occurred to me that I want to incorporate so many photos and graphics that a magazine format would be better. I want people to be able to play the games, cut out pages and photos, and just generally make good use out of it. But you may have noticed that nothing tangible has yet emerged from the abyss of my creative fermentation tank. I did start to work with some highly regarded — but free — online software and have cussed and slithered through the nastiness of it. Have you ever tried to use a publishing template without an undo button? Yes, I am too cheap to upgrade, but if my experience with their cheapo software had been better, I might be tempted. As it is, I stare at the work I have already completed, and instead of rolling up my sleeves and pants cuffs to re-delve into the hellhole of that website, I drift toward my game selection. After a couple months of frustration, there is no cigar forthcoming. So I am begging for new ideas. I chose the e-zine format because it is free for me, free for you, and if anyone wants a hard copy magazine, they will print it up and mail it to you. As I recall, I can set the price ridiculously low, like a dollar plus postage. That would be nearly ideal, but my eyes cross and I start foaming at the mouth when I think about that wretched software. I am pretty adept at word processing, so I could probably whip up something professional-looking, but my brakes lock up at graphic software. I do have an iMac, but it is rapidly aging and I now have *10* vertical pixel-wide stripes on my monitor. So a new computer without sticky keys will be Coming Soon. There’s a poll here, but I am also hoping for random suggestions from The Peanut Gallery. Recommended software (something on my iMac I have overlooked? ), cheap but effective programs to load on my new computer, inexpensive online publishing options (remember it will be heavily graphic, so regular eBook publishing probably won’t work, hence the magazine format.) The one I have been cursing is joomag.com, so let’s not hear that suggestion, okay? Lastly, I don’t want to get everyone all excited. I can’t promise to publish on a predictable regular basis. Maybe quarterly? But most likely I will publish when I reach a reasonably viable level of content. I’m open to suggestion there, too. Is both sides of a piece of paper going to be worthwhile, or is my goal of both sides of about 4 pages better? Of course it will be a mashup of my blog posts, but I’m hoping to throw in enough new stuff to fool everyone. Let me know what you think, okay? Check as many boxes as you want to! You can also contact me, leave comments, or be truly obnoxious and tell me to get this show on the road!